1) Quick Access Toolbar: Select preview option from Quick Access Toolbar where you can also make choice for the required browser. 2) File Menu : Select File Menu –> Preview . 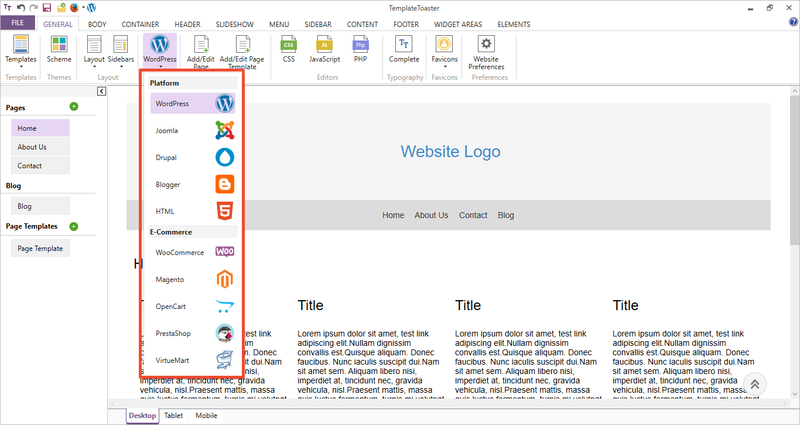 – Export a Theme/Template: Now, you can export your design/theme/template in WordPress by clicking this button and at the same position, you will get the export option of the CMS you are working on. 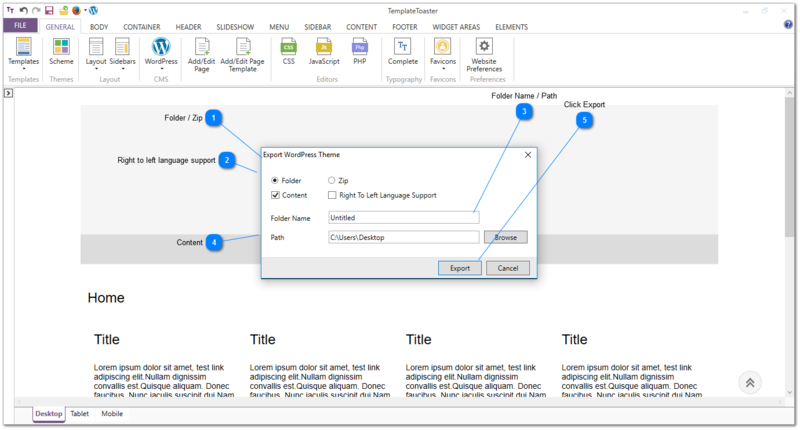 In this screenshot you can see that you have an option of exporting the theme/template in the folder or zip form, so you can select accordingly that you want your theme to be in a zipped or a folder form. If you want your theme to Support Right to Left Language then you just need to check the checkbox of ‘Right To Left Language Support’. After that select the folder name and path accordingly. This check box facilitates you to export the template with/without content. 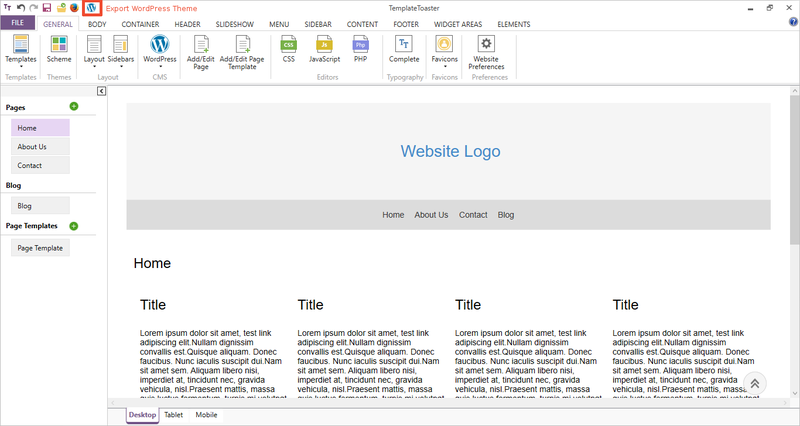 If you check it, the template will be exported with content. Click on Export. Your theme will be exported safely. 3. You can Export your theme/template in different CMSes. As you can see in the screenshot shown below that there are 10 different CMSes, so you can export your theme for your desired CMS the same way as you have exported in WordPress (Explained Above). If you are unable to understand something while using our software, you can connect to us anytime through Support section.